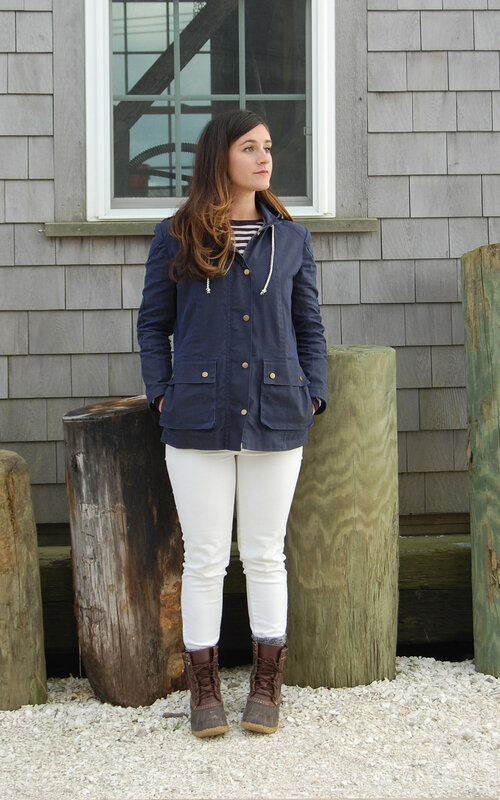 A utility jacket with front waist pockets and side pockets, drawstring-cinched hood, zipper and snap closure, and elbow patches. Fully lined in organic cotton chambray. Our updated field jacket keeps you dry in the town and country, or wherever your adventures take you. The cotton canvas is woven from organic cotton grown in Lubbock, Texas, milled in small batches in South Carolina, and dyed with Global Organic Textile Standard (GOTS) certified dye in North Carolina. The organic cotton lining, also grown in Texas, is woven in small batches by a family business in California. 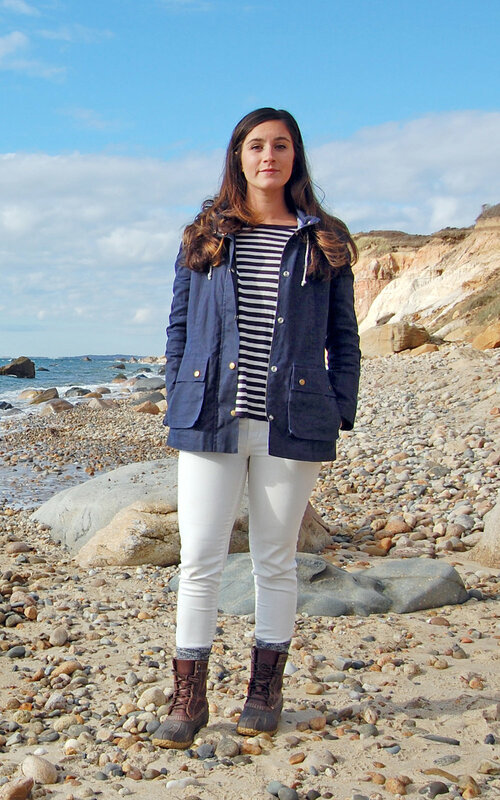 The jackets are cut and sewn in Fall River, Massachusetts, just across the pond from our design studio on Martha's Vineyard. We made no compromises and went to great lengths to source natural, domestic, and ethically-produced trim for the jackets. The natural (undyed) drawstring is woven in Georgia, from our organic cotton yarn grown in Texas. The metal grommets and snaps are manufactured in Connecticut, and all components of the zippers are made in the U.S. and assembled in Georgia.